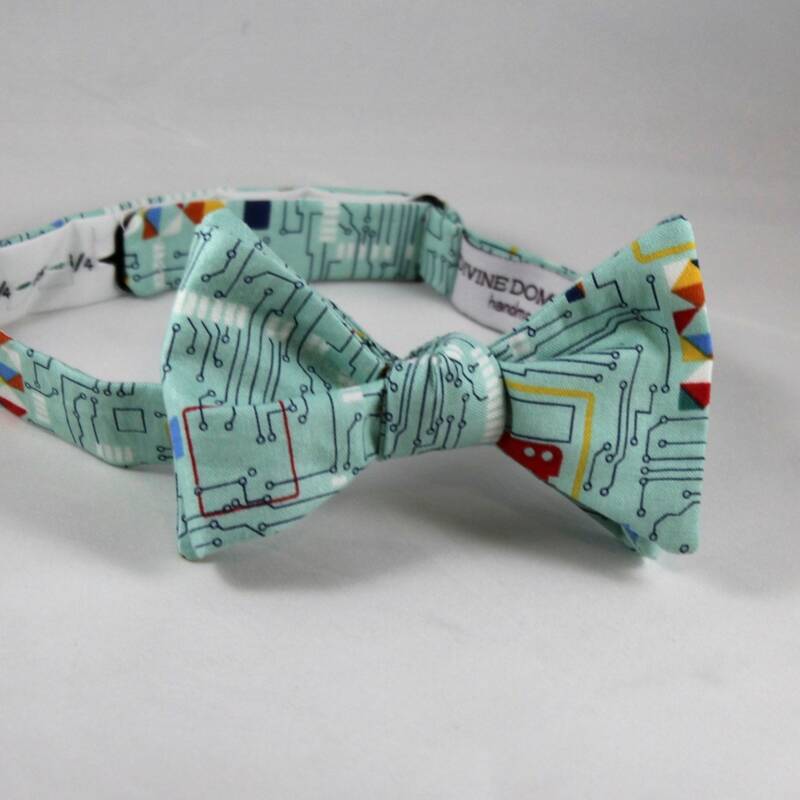 The dream tie for any computer scientist! 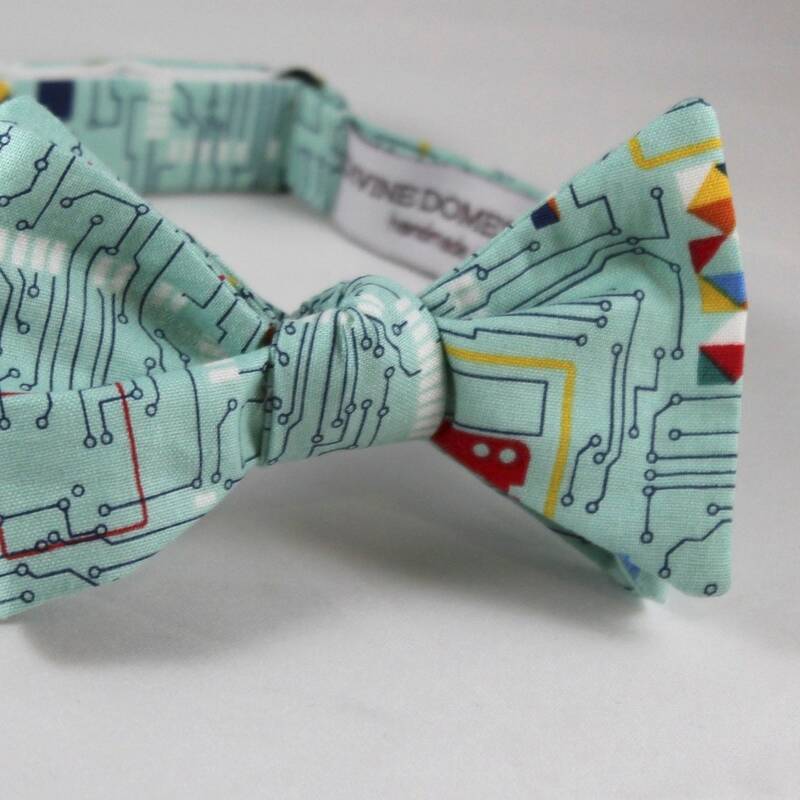 Turquoise background with silver circuit board patterns printed on this fun bow tie. This darling tie is perfect for a wedding or a fun addition to any outfit. Made of top quality designer cotton. It will also hold up to lots of wear.